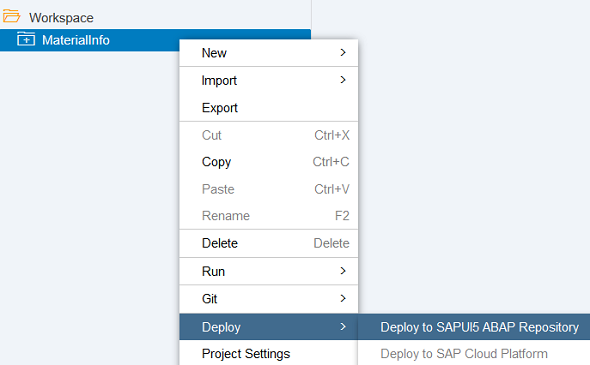 SAPUI5 or Fiori developers can deploy Web IDE applications or projects to SAP systems using ABAP Repository deployment menu in SAP Web IDE tool. 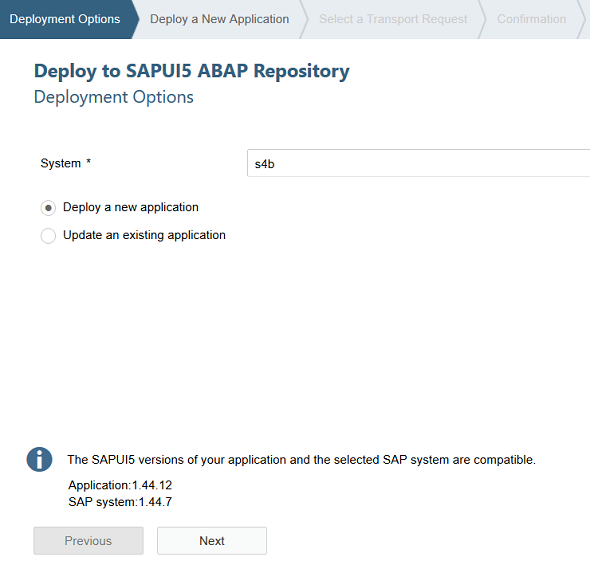 Programmers can deploy Web IDE applications to SAPUI5 ABAP repository and SAP Web IDE applications are stored in ABAP repository as BSP applications. This Web IDE guide shows how to deploy an application to SAPUI5 ABAP repository as a new application. In your SAP Web IDE development tool, right click on the project on listed in your development Workspace. When the deployment wizard is displayed, the first step for deploying a SAP Web IDE project to ABAP repository is choosing the target SAP system. Choose target system for deployment in Deployment Options tab. 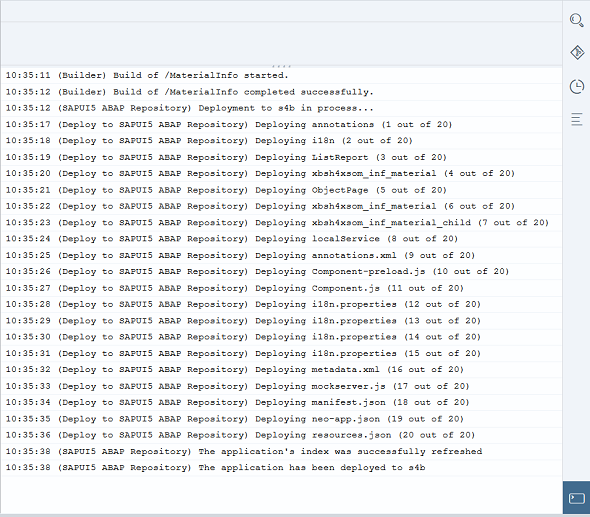 Addition to SAP system selection, if this is a new application, select "Deploy a new application" option. If you are updating an existing application choose the "Update an existing application" option. Pay attention to following important naming rules before you start deployment of the Web IDE application project to target SAP system. Enter the name for the deployed application. The name must follow the rules of creating a BSP application. It must not exceed 15 characters and must consist of alphanumeric characters or underscores only. 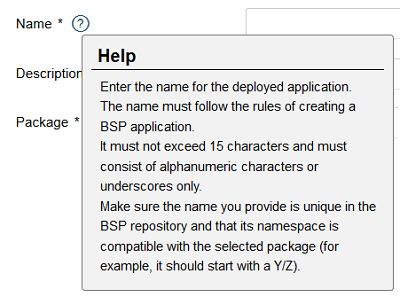 Make sure the name you provide is unique in the BSP repository and that its namespace is compatible with the selected package (for example, it should start with a Y/Z). Following is a rule for package namespace and namespaces of the objects assigned to that package. Read the Help on Package just like the application Name help for a smooth deployment on Web IDE. In the next step, the transport request selection for the new application is selected. Now we are ready to start deployment. 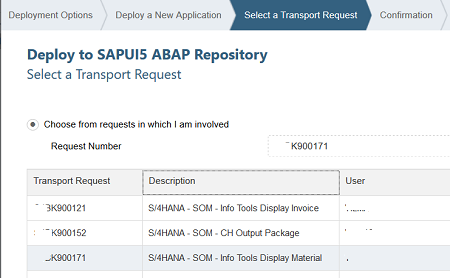 Click Finish button on Confirmation tab to deploy your Web IDE application to SAP system ABAP repository. On the Web IDE Console, you can follow the status of the deployment process. If it is not open, you can use Web IDE menu View > Console Ctrl+Shift+M to open the Console window for deployment log entries. 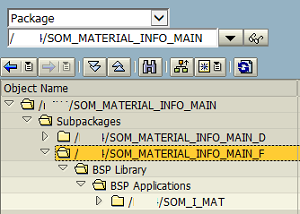 After the deployment of the Web IDE application is successfully completed, on target SAP system using SE80 transaction code you can see the application under the choosen package as listed as a BSP application.